Mongolia has a wide range of unique habitats, from the taiga forest in the north, through to the desert steppe in the centre, to the wilderness of the Gobi Desert in the south. Each of these habitats contains many fascinating, highly threatened species, such as the Critically Endangered Bactrian camel, and other highly threatened species including the Siberian marmot, grey wolf, saker falcon and musk deer. In the aftermath of the collapse of the communist rule in the early 90's, Mongolia’s economy changed dramatically. This has resulted in the increasingly unsustainable exploitation of Mongolia’s landscape, with illegal hunting, mining, overgrazing and deforestation driving significant declines in much of Mongolia’s flora and fauna. For example, there are fewer than 1000 Bactrian camels still in existence, and evidence suggests that grey wolf hunting vastly exceeds the formal quotas (of 20 per year). ZSL has been working for fifteen years to conserve habitats and species that are not only of global conservation importance, but also underpin the livelihoods and cultural identities of Mongolia’s nomadic communities. We do this through strong partnerships with individual experts, public and private sector organisations, communities, and fellow national and international NGOs. Central Mongolia’s ‘Khoid Mogoin Gol-Teel’ Local Protected Area is one Mongolia’s most important forest steppe ecosystems, covering 1370 km2. Illegal hunting and overexploitation of pastures and forests threaten this ecosystem, driving declines in globally-significant wildlife and eroding traditional livelihoods and resilience to climate change. ZSL’s newly funded Darwin Initiative project is working with the deeply committed and concerned local community of livestock herders to safeguard the forest-steppe ecosystem and the lifestyles that depend on it. Together with further partners from the public and private sectors, we supporting the management of a newly established local protected area, based on sustainable management of forests and pastures. We are monitoring priority species to track progress on protecting biodiversity, and supporting diversification of livelihoods for communities, such as greater access to markets to sell certified high-quality, ethical and sustainable cashmere. Different grazing regimes are being trialled to inform a pasture management plan. We are putting the skills and structures in place to enable the communities to keep managing the area in the long term. Steppe Forward empowers Mongolians to create and manage conservation programmes, by providing them with the tools and skills to design and implement their own ecological studies and monitoring schemes. This is a collaboration between ZSL and the National University of Mongolia. In 2018 we published Silent Steppe II, Mongolia’s most comprehensive study of the illegal wildlife trade (IWT) to-date, including recommendations to improve law enforcement. We have also developed a wildlife product identification mobile app (freely downloadable on android and apple), and reached more than a third of Mongolia’s population through an IWT awareness-raising campaign (see ZSL’s YouTube video on IWT). We have trained over 140 law enforcement officers in improved IWT identification. ZSL completed Mongolia’s most robust census of Critically Endangered Bactrian camels. We continue to support the Government of Mongolia to conduct scientific monitoring of Bactrian camels in their Gobi Desert stronghold, to support the development of an effective conservation management plan. Since 2006, ZSL has worked to compile information on Mongolia’s vertebrates, to enable conservation practitioners, policy-makers, researchers and other stakeholders to make informed conservation management decisions. For example, the launch of the Bird and Medicinal Plant Red List in 2012 meant that Mongolia was the first country in Asia to have produced regional Red Lists of all their vertebrate species. Steppe Forward and ZSL are currently compiling the second volume of the Plant Red List. Scientific expertise from ZSL assisted the Government of Mongolia in compiling their first national report to the Convention on International Trade in Endangered Species (CITES) LINK, and to compile Mongolia’s Fifth National Report to the Convention on Biological Diversity (CBD). ZSL established the Wildlife Picture Index, an innovative camera-trapping monitoring study to evaluate the success of Mongolia’s key protected areas in conserving species inside and next to protected areas. Applications for the 2020 Summer Field Course will open in early 2020. 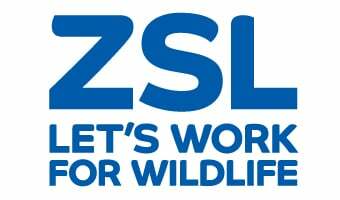 Please follow @ZSLConservation for updates and find out more here. Every year the Zoological Society of London’s Steppe Forward Programme brings together students from the National University of Mongolia (NUM) and students in higher education from around the world for a two week field course held in the Mongolian steppe. The course is a unique opportunity to learn about conservation and ecological fieldwork techniques amongst Mongolia’s beautiful landscapes. The field course contributes to the aims of the Steppe Forward Programme by furthering the conservation capacity of Mongolian Students at the NUM, as well as providing key career skills to international students, and fostering international bonds and collaboration. The course aims to provide the tools and inspiration for a career in conservation and ecology. The field course is taught by conservation practitioners and scientists from the Zoological Society of London as well as lecturers from the National University of Mongolia; bringing together several nationalities under the umbrella of conservation. Key topics covered, include, survey design, data analysis and conservation challenges, as well as practical field techniques, all taking place in the incredible rolling landscape of the Mongolian Steppe. The field course is held in a traditional Mongolian ger camp; students will experience the traditional Mongolian nomadic lifestyle, camping and eating locally sourced traditional Mongolian food. Students will sleep in Mongolian traditional round tents known as gers, sharing accommodation with other students in the group. There will be a fully equipped kitchen from which meals will be served. Classrooms for lectures will be held in a separate ger, and most practical sessions will be held outdoors. The field course is a unique academic opportunity that allows students to learn from leading conservation practitioners, and get practical experience with key fieldwork skills to help prepare them for careers in conservation and ecology. Typical daily activity begins with early morning fieldwork, followed by lectures before lunch and field work in the afternoon. The course provides an opportunity for students to interact closely with the course instructors, and to collaborate with other students who share the same interests. Fieldwork skills taught usually include, remote camera trapping, bird mist netting, small mammal trapping, and distance sampling. Topics covered in the lectures include conservation challenges, biodiversity, population ecology, survey design and data analysis. Before arrival, students will receive a course pack that includes the course schedule, reading, assignments and field session guidelines which will help them prepare in advance for the course. SFP prides itself in offering an “outdoor classroom” format where concepts and theories will be discussed and practical enquiry can be honed and tested in field conditions. Ideas and interests will be shared and we hope that the students will be inspired to contribute towards the conservation of wildlife and natural habitats. Many of our field course students have gone on to post-graduate study at some of the world’s leading scientific institutions such as Imperial College London and University College London, and some have continued to work alongside ZSL Scientists on our global programmes. English and Mongolian (translation provided). 1st to 3rd year undergraduates from a recognised higher education institution, studying biology or a related subject. Students in good academic standing from all major colleges and universities may apply for the course. The Steppe Forward Programme is a collaboration between the Zoological Society of London and the National University of Mongolia. Since 2003, we have developed and implemented a wide-range of conservation projects across Mongolia. At present, these projects include field courses, wildlife camera trapping, conservation assessments for the production of National Red Lists, publishing of field guides to the birds and mammals of Mongolia, conservation and monitoring of the wild Bactrian camel, and projects combating illegal wildlife trade in Mongolia. Education, raising awareness, and training are of real importance for conservation in Mongolia. The Steppe Forward Programme has a strong record in these areas, in particular through organising and running student field-courses. The Steppe Forward Programme aims to empower Mongolians to create and manage conservation programs by providing them with tools necessary to design and monitor their own conservation initiatives, assess wildlife populations and design ecological studies. The programme intends to significantly strengthen skills and develop initiative amongst Mongolian professionals working in ecology and conservation, providing capacity for continued high standards of training and practical conservation needed in Mongolia. The illegal wildlife trade (IWT) in Mongolia has caused catastrophic declines of species that are vital for the steppe ecosystem – but are less well known than iconic victims of IWT such as elephants. Sandwiched between the two major economies of Russia and China, far from any ports, Mongolia’s wildlife trade is largely hidden from the outside world. Few countries have so much territory and featureless borders to monitor, with so few people and resources. In 2018 ZSL completed Silent Steppe II: Mongolia’s Wildlife Trade Crisis, Ten Years Later. This shows that despite new laws and enforcement efforts by the Mongolian Government, the species most heavily targeted ten years ago are still the primary targets today. Mongolia’s hunted wildlife can be low in value but high in volume, for example the Siberian marmot has seen a 75% decline in the past 30 years due to hunting for its fur – an estimated 850 000 were killed in 2015. Illicit trade volumes far surpass legal quotas for hunting and trade: for example in 2009 the maximum number of wolves that could have been legally exported (under CITES) was 56, but that year alone, 312 carcasses were seized by customs; in 2015 surveys suggested that as many as 17 000 could have been killed. During 1996-2015, 24,748 live saker falcons were exported legally for the falconry trade. The illegal trade in addition to this has meant that Mongolia’s saker falcon numbers have declined by over 60% in 20 years. Illegal fishing has increased rapidly, and organised crime networks target the most profitable species: wolves (for fur), bear (for gallbladders and bile), red deer (for ‘blood antlers’), musk deer (glands) and snow leopard (fur and bones). Income growth in China has created a demand for the targeted species far above that which species can sustain, both for fur and products used in traditional medicines. Foreign trade increased ten-fold from 1996-2015, straining under-resourced customs and inspections processes. Exports are largely made up of coal and minerals, sealed on-site by mining operators into 100-200 ton trucks that cross the border to China without proper inspections. It is in these types of trucks that inspectors have uncovered illegal wildlife specimens. Imports of wildlife to Mongolia from Russia grew from $0.5M in 1996 to almost $9M in 2015 – and Mongolia is a transit country for products as diverse as lion and saiga antelope that pass through on the railway that runs north-south from Russia to China. Organised crime networks are using increasingly sophisticated weaponry, equipment, logistics and international monetary transactions. Although enforcement efforts led to 112 court cases and confiscations of 8 000 wildlife specimens in 2015-2018, personnel from rangers to customs officials and police all report inadequate resources to respond, and corruption is all too common. From 2018 to 2021, with funding from the UK Government’s IWT Challenge Fund, ZSL is undertaking a major project to secure Mongolia’s borders and communities against wildlife trafficking. With Mongolian partners and the UK Border Force, this will strengthen national law enforcement capacity by training and equipping Border Detector Dog units and law enforcement staff at three IWT hotspots. Also funded by the IWT Challenge Fund, a new national Wildlife Crime Control Task Force will promote intelligence-sharing between agencies and across borders. In border communities, we will build up new Community Surveillance Networks to boost awareness and reporting of IWT and associated cross-border criminality. Training for enforcement personnel to tackle IWT, human trafficking and corruption will increase security for vulnerable border communities, as well as benefitting wildlife. Previous work, including Silent Steppe II, provide the foundation for current projects. ZSL provided targeted training to frontline law enforcement officers, and developed a Wildlife Product Identification app to help them identify wildlife products. To tackle the dispersed criminal networks behind IWT, in March 2018 ZSL launched a user-friendly IWT database that provides a centralised depository to share intelligence and IWT-related data from Mongolia’s various law enforcement agencies, producing a clear picture of international trafficking incidents and hotspots to target law enforcement. ZSL and Legal Atlas reviewed Mongolia’s existing wildlife-related laws, submitting recommendations to the Mongolian government. ZSL is continuing to work with government agencies to encourage incorporation of the recommendations into Mongolia’s legal framework. A further study since Silent Steppe II found that by October 2017 market availability of wildlife products had decreased from 2016 levels and public awareness of wildlife conservation had increased, although recent legislative changes related to illegal hunting were yet to reach the grassroots level. In partnership with Mobicom, Mongolia’s largest telecom provider, an IWT awareness SMS text-messaging campaign reached approximately one third of Mongolia’s population (c. 1 million people) spreading vital information on IWT-related laws, and on the damaging impacts of IWT. Dr Gitanjali Bhattacharya, Munkhjargal Myagmar, Myagmarsuren Shagdarjav, Dr Samuel Merson, Dr Gombobaatar Sundev. DEFRA, Ministry for Environment and Green Development, Mobicom, Legal Atlas.